Widespread physical inactivity is a main reason for a lot of health problems. The WHO recommends a minimum of 2.5 h of physical activity per week or 30 min of sports daily. Regular sport supports individual wellbeing, reduces stress and protects from lots of diseases. The KristallTurm® fitness course (also activity course) offers a variety of training elements for strength, coordination, agility and stamina. The fitness course also provides for varied circuit training. Our elements can be combined as desired to fit diverse needs. Especially sports facilities, hotels and municipalities can use this option to develop an attractive range of sports offers and offer their guests an exciting leisure program. Fitness trainers and physiotherapists can use the equipment in several ways to meet different training needs. Whether with or without a trainer - our training elements form a contrast to conventional elements and are suitable for indoor and outdoor areas. Due to its robust construction the KristallTurm® fitness courses especially fit for public areas and are weather resistant and long-lasting. Bouldering walls are a good add-on to fitness courses. Nearby playgrounds extend the range of activity to a larger user group. 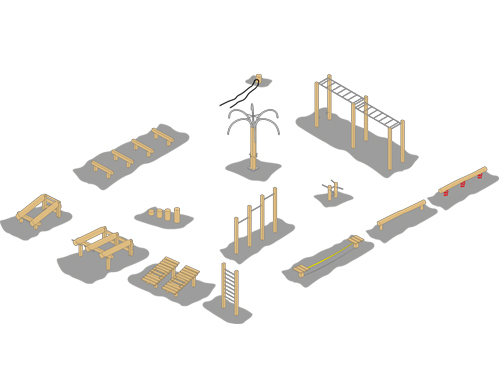 We build our fitness elements from high quality Larch wood and Robinia trunks. These woods are very robust and have a very long life span. On demand, you can get steel parts galvanized or made from stainless steel. Beneath are some exemplary exerices for each element. A solid pole shaped like a plam tree for up to 6 TRX slings at the same time. 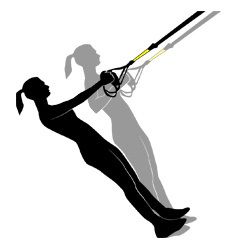 With TRX slings a lot of different trainings can be done. 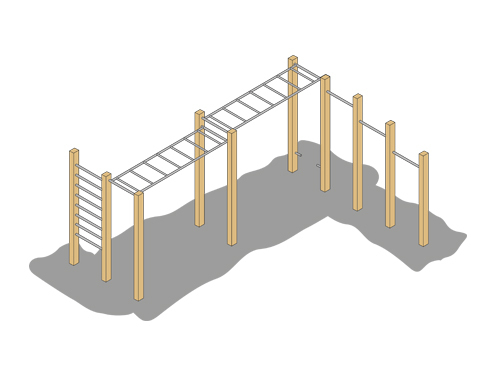 Wall bars can be used for climbing exercises and body tension trainings. 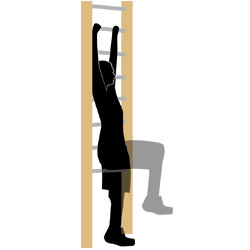 The hand-over-hand-ladder provides diverse training opportunities for arms, torso and coordination. 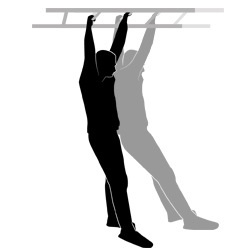 Pull-up bars can be build in a lot of different variations to fit diverse height and training needs. Varying heights and widths of the handles provide holding points for every body height. 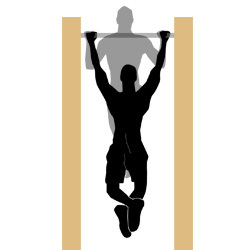 The bars also can be used for classic bars training and swings. 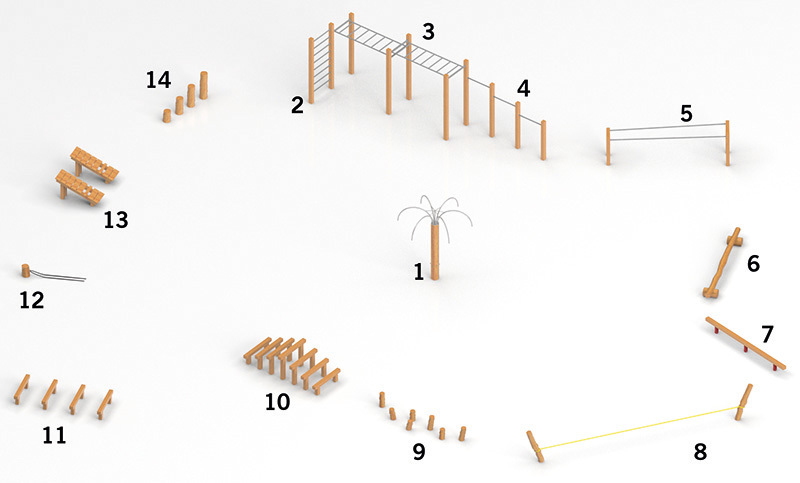 The basic balancing beam (6) can not only be used for balancing exercises, but also for side jumps, etc. This is also true for the spring beam (7). But the spring beam requires more skill. 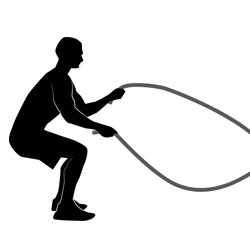 The slackline (8) is the hardest variation. The trunks (9) train balance and concentration. 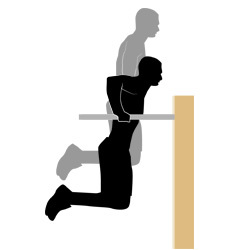 The hurdle stairs (10) train balance and leg muscles. 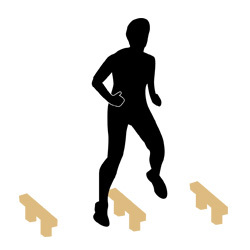 The low hurdels (11) are good for coordination and stamina training. A thick rope is attached to a massive tree stub. 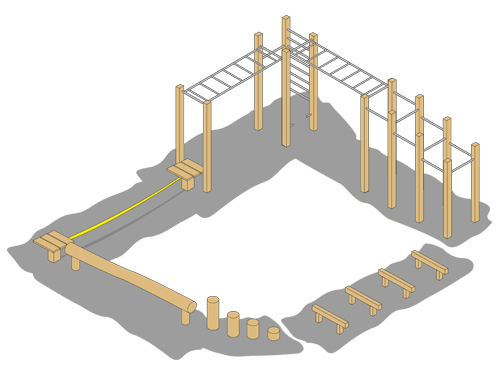 This plain construction provides a vast variety of differnet trainings and difficulties for the upper body and stability. Legs can be fixed in the designated slots. 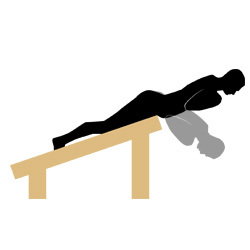 Then, from prone position the torso needs to be lowerd and lifted. 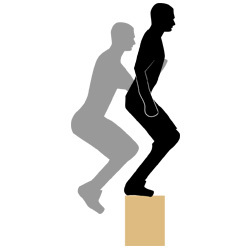 The tree stubs between the heights of 40 - 80 cm fit for step-up and jumping exercises. 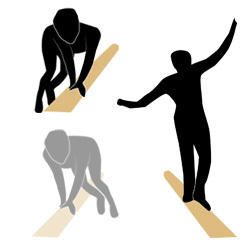 The athlete starts in an upright position and jumps onto the stub, where he lands with both feet and stretches his hips completly before the next repeat.